The Martin family have been producing Albariño in the village of Barrantes for generations, originally for local consumption by friends, family and a few local restaurants. In 1981, Domingo Martin decided it was time to expand; he built the current cellar of Bodegas Castro Martin, with a capacity of 300,000 liters. The first vintage in the current wine cellar was 1982, with more than than 30 vintages celebrated since at Bodegas Castro Martin. Located in the heart of the Salnés Valley, Castro Martin owns a total of 27.1 acres of vineyards, in locations that benefit from typical, sandy, alluvial soils on a base of granite and quartz. It is this soil and extended aging, combined with the cooling influence of the Atlantic Ocean that gives all Castro Martin wines their distinctive, but typically fresh and zesty Albariño style. The winery is one of the original founding members of DO Rías Baixas, created in 1988, and has always been a family-owned and managed business. Today it is run by Domingo’s daughter Angela, who is also a biologist and qualified winemaker. The philosophy of the business is to make the best wine possible using new innovation whenever possible, while also respecting the traditions of the denomination. The winery is also unique in that every wine they make is aged for at least 5 to 6 months on the lees. This technique not only adds to the complexity of the wine, but also extends the aging potential of each release. Angela made her primary education in Caracas, and moved to Spain in 1981 where she completed her degree in Biology at the University of Santiago de Compostela. 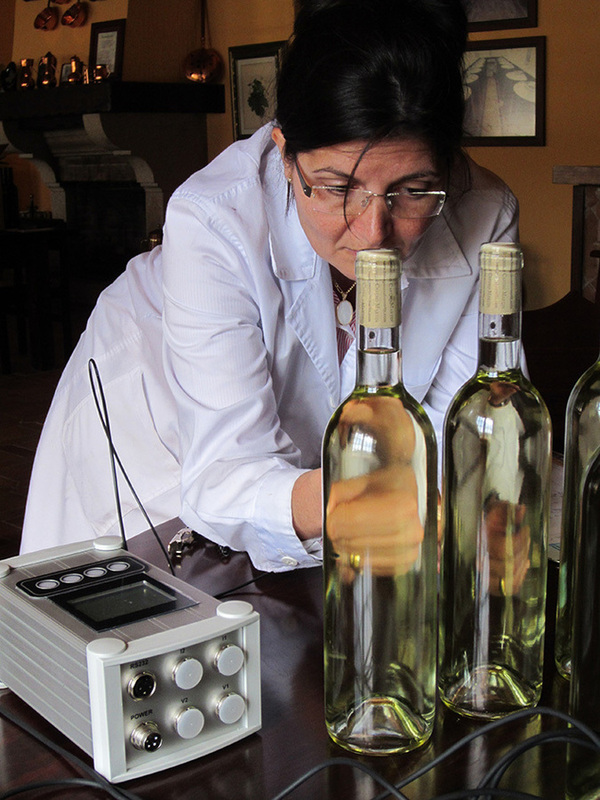 Following this she made a Masters degree in Oenology & Viticulture in Madrid, completed in 1989.